It rained heavily last week. And when it cleared up, everything was clean, fresh and green. Puddles of water left by the heavy downpour have become home to tadpoles and dragonflies. Sharp and shrill notes of beetles and crickets rend the air at night. 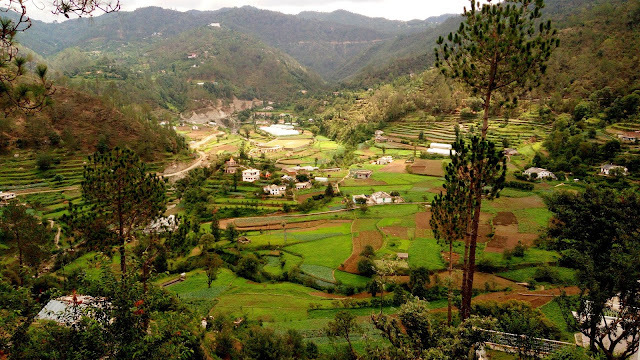 Myriad shades of green dot the landscape. Our village looks like a beautiful painting of nature. 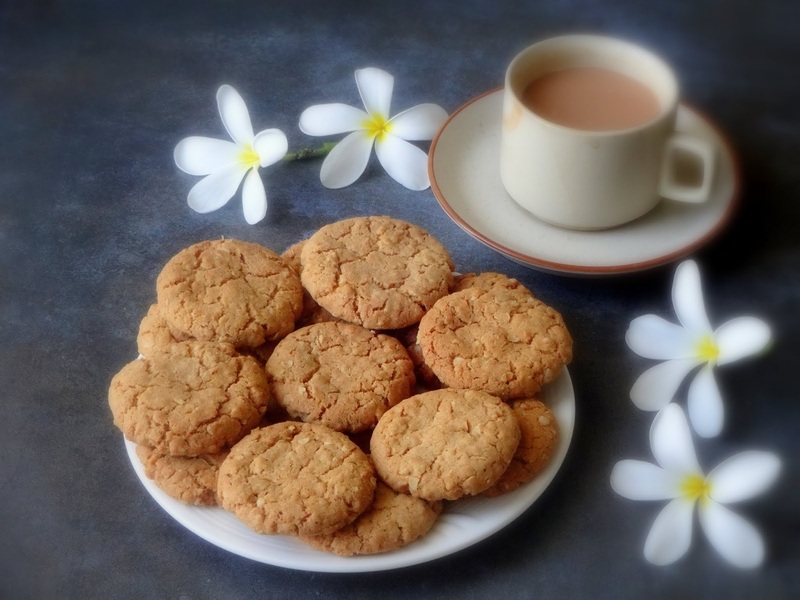 The evening air is fragrant and cool and a cup of hot ginger tea with homemade cookies is a pleasure beyond words. 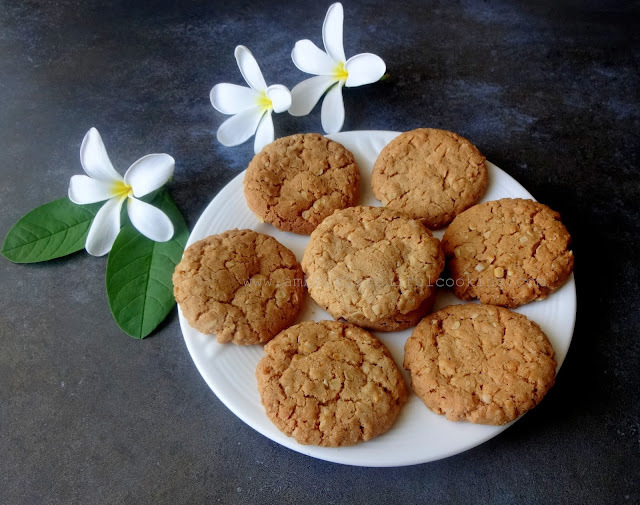 We baked oat cookies recently with a generous quantity of cinnamon. Butter was replaced by coconut oil. This experiment worked out quite well and we did not miss the butter at all. And we also added ¼ cup crushed salted peanuts. The cookies were crisp and delicious. The cookies come together in a matter of minutes. 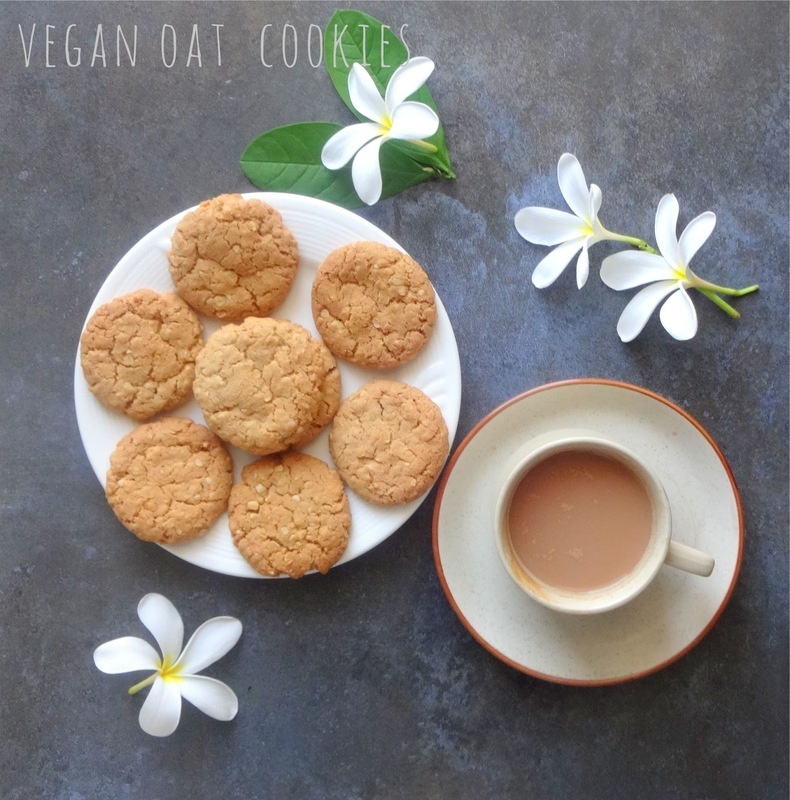 The cookies are fuss-free, 100% wholegrain and delicious. In a large bowl, mix together first four ingredients, keep aside. In another large bowl mix coconut oil and sugar. Add more milk if needed. Cover the dough. Pinch small balls of the dough and flatten them into rounds. Arrange on a parchment paper lined baking tray, two inches apart. Bake for 15-20 minutes, or, until the sides become golden. Cool. Store in an airtight jar. Hello Fran, it is always a pleasure to hear from you. All is well here. I keep visiting your new blog. Your posts are a treat! Hi Namita, thanks for sharing this. Would instant oats work as well? Hello Prathima, I am sure they would. Do share your experience If you try. Happy Baking!